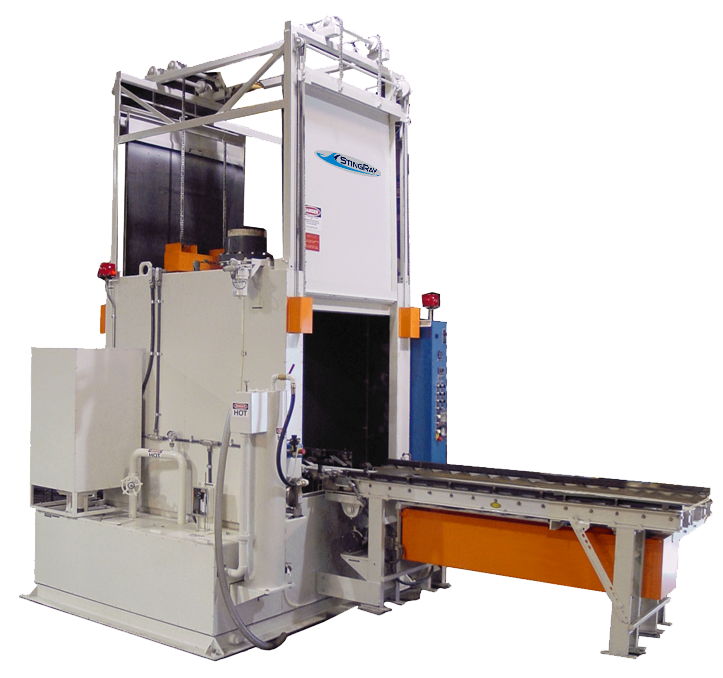 The oil coalescing system separates waste oil from aqueous parts washer cleaning solution. Removes oil to a lower concentration than disc oil skimmers. Uses simple well known physics principals to separate oil from the aqueous parts washer solution. Unique floating suction head removes free-floating oils from the parts washer surface discharging oil/solution into coalescing chamber. Diffuser spreads and slows flow through the chamber as the coalescing media attracts and agglomerates small droplets until they are large globules and buoyant enough to float to the surface. A weir skimmer removes accumulated oil from the surface and drains to a container next to the aqueous parts washer for disposal. Bottom drain allows removal of any accumulated solids that sink. Cleaned effluent is returned to the aqueous parts washer reservoir. Coalescing efficiency is improved during periods when washer solutions are cooler such as non-production hours. Non-emulsifying parts washing cleaners take maximum advantage of coalescer technology. 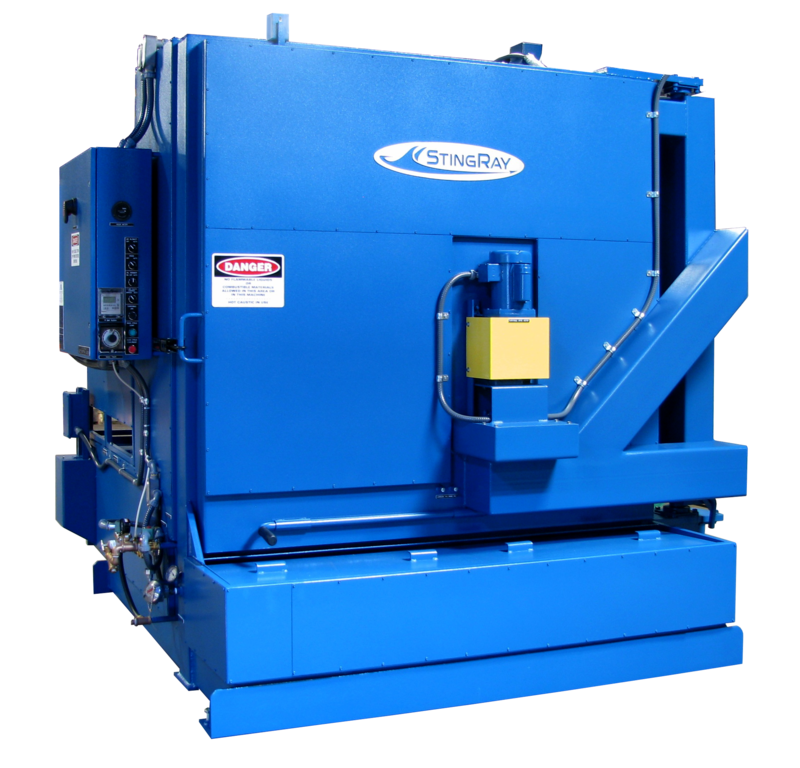 Simplify the overall cleanup process of the parts washer. Tough steel coalescing Media is washable for reuse. Solids accumulation zone with drain.